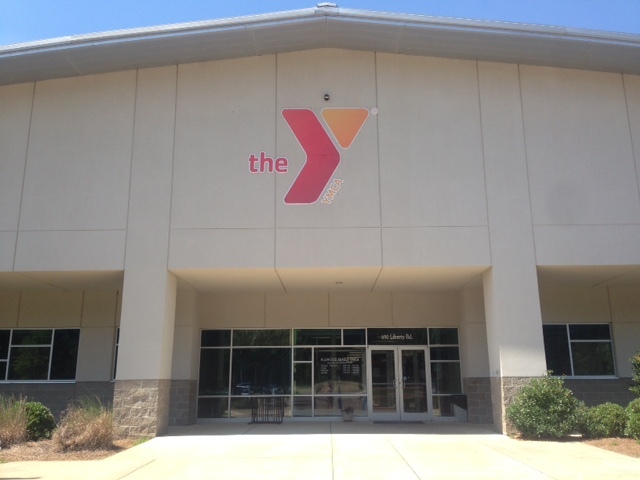 The Flowood branch of the Metropolitan YMCAs of Mississippi is a 70,000 square foot state-of-the-art facility. Within the modern walls of this extraordinary building located just behind Howard Wilson Mazda off Lakeland Drive you will find everything you could ask for in a health and wellness facility. As you walk through the doors you will be greeted with smiling faces waiting to help you achieve your goals. The cardio/weight studio filled with clean and well-maintained free weights, weight machines, television outfitted treadmills and elliptical machines and an indoor walking/running track is just down the hall. This area is encased in windows making it feel open and well-lit. Anything you would like to do to achieve your personal fitness goals is available at the Flowood YMCA. You’ll never get bored with our Y-Cycle Studio, Group Exercise Studio, Group Personal Training, One on One Personal Training, Private Pilates Reformer Sessions, and more! The Flowood branch also hosts an indoor competition swimming pool and the Sunkist Team which is a year-round medal-winning swim team. There’s another indoor pool designed for play with a fun tube slide. The aerobics rooms stay busy with over 100 group exercise classes each week for every fitness level! The area’s premier indoor soccer complex is housed at the Flowood YMCA as well! With year-round access, this turfed indoor athletic complex allows you to work on your skills no matter what the weather is doing! If that’s not enough, adults and children enjoy the sports complex which is complete with softball fields, baseballs fields, soccer fields and concession stands. The Flowood branch of the Metropolitan YMCAs of Mississippi is definitely the place to be! Fully furnished nursery for children 6-weeks to 6-years old. This is a FREE service for Family Memberships while adults are utilizing the fitness center. Children must be listed on the membership. 1.5 hour maximum stay. A fun zone for kids 1st grade – 12-years-old. This is a FREE service for Family Memberships while adults are utilizing the fitness center. Children must be listed on the membership. Kids Zone hours are the same hours of Child Watch, except there are no morning hours during the school year. 1.5 hour maximum stay.